Whatever your country of origin, prepare your expatriation, facilitate your arrival and successfully integrate in Luxembourg. Just Arrived is a bilingual integration tool, helping newcomers, expatriates and workers in their daily lives in the Grand Duchy of Luxembourg. Just Arrived guides each newcomer to Luxembourg for fast installation in that new host country thanks to information in both French and English provided through website and paper guide. Each Luxembourg resident or worker, whether new or not, finds all the necessary support for a successful integration, thanks to shared experiences with other expatriates and borders, good plans and didactic guides. Published in 15,000 copies, our paper guide is distributed free of charge by the Bierger Center in Luxembourg city and by companies. Just Arrived proudly displays the “Made in Luxembourg” small black crown. Since 1984, the “Made in Luxembourg” label has established the Luxembourgish origin of products and services. This label is a sign of quality. It has been initiated by the Chamber of Commerce and the Chamber of Trades and the Ministry of Foreign Affairs. 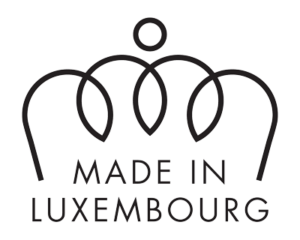 The “Made in Luxembourg” label informs the Luxembourgish consumer about local products. It also ensures that national quality products are better known abroad. With the obtention of this label, Just Arrived wishes to highlight the local production of its services and insists on the concept of “sharp selection” of the references recommended in the guide.